Nakano lies just west of the bustling Shinjuku area. Although located in the north-west area of the city, this district still has an estimated population of 322,731. To get to Nakano, take the JR rail to Nakano station on the Chuo/Sobu line. To preserve that neighbourhood vibe, Nakano doens't have a ton of hotels to speak of. One of the best ones close by is Shinjuku Grandbell Hotel. The Grandbell has a wonderful boutique vibe which makes it a lot nice than some of the more simple and sometimes ostere business hotels. Rooms range for $150-$200/night and although the economy rooms are small, almost all of them have incredible windows with natural light and even a little table to sit at and enjoy the view. The Nakano Sunplaza has been a distinctive landmark and attraction in this vibrant area of Tokyo for years. It has a concert hall, a hotel, restaurants, banquet rooms, wedding venues, training rooms, a fitness center with a swimming pool, a music studio, and sports and recreational facilities. It's located right outisde Nakano station so if you are really wanting to stay in the area there is no better place to be! Rooms go for about $170 USD a night. If you're looking to stay somewhere entirely different you have to check out BnA Hotel. This hotel is literally like staying inside a work of art. 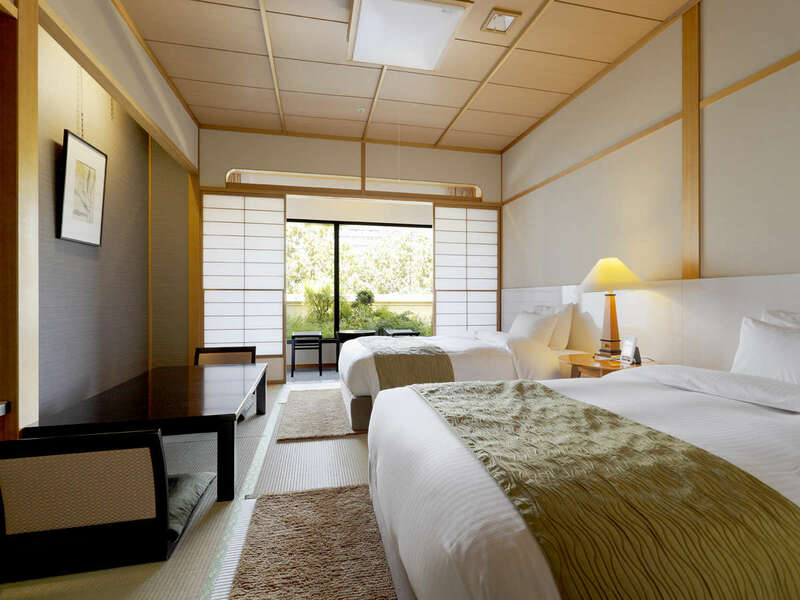 Each one of their artisanal rooms is designed and built by a local Japanese artists and a team of architects, textile designers, and carpenters. 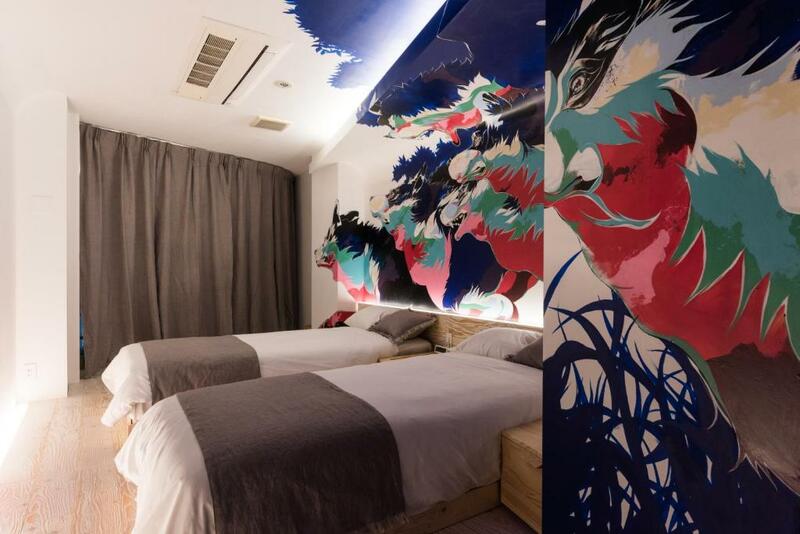 Staying here is not only an amazing experience for you but also supports the local art scene of Tokyo. There are currently only two rooms are available but they are planning on expanding. Rooms are only around $160 USD a night so if you want to stay here, book farrrrr in advance! The best option for places to stay around Nakano are Airbnbs. Since this is a mostly residential area there are a few rental homes here which you can stay in to make you feel like a local. Toyko's new rental laws have changed the amount of options available but there are still lots of great places to stay in and around the area. There places will run you about $150 USD a night but have their own kitchen, laundry and bathrooms so you'll really be able to feel like you have a home away from home. The Sun Mall shopping centre is a 225 meter long, glass-covered shopping street with a wide variety of stores, including food joints, cafes, jewellers, fashion boutiques, pharmacies, game centres, book stores and electronics. If you're looking for a cheap watch - this is a great place to go. They have tonnes of "replica" watches in a myriad of styles and colours. Nakano Broadway was built in 1966 as an extension of the Sun Mall. Although the building is over ten storeys tall, only four are open to the public. The rest are luxury apartments with access to a beautiful roof garden, swimming pool and golf range. Nakano Broadway is an indoor shopping complex with over five floors of anime, manga, figurines, rare toys and retro electronics along with lots of generic Japanese Pop Culture goodies. If you are into "otaku" (nerd) culture or want to get all nostalgic over retro toys or just are looking for a super neat place to wander on a rainy day you HAVE to check out Nakano Broadway. Many people (me included) travel to Akihabara for these types of finds, but after visiting Nakano, you'll see this is without a doubt the better place to go. You don't need to travel blocks from shop to shop to find an individual item, dodging a tirade of girls in maid costumes handing out flyers on your way. Everything is in one little building, and the indoor feature makes it an excellent option in the rain, intense heat or frigid cold! The variety, sheer amount of stuff and quality is much greater here than in Akihabara too. Rental space is much cheaper so businesses can sell better items at more reasonable prices. Nakano Broadway an incredible array of Gachapon machines. There are three main areas spread across the floors but you'll also find small groupings of machines in front of various shops throughout the building. We even found a few vintage machines with older toys inside on the basement level. I got a Sailor Moon plastic finger puppet that looked like it been there since the show first came out. There were also lots of modern vending machines selling various gachapon sets I hadn't seen in other locations. If you're a collector, this is the place to come to the newest in gachapon collections. Mandarake is a big name in manga and anime in Japan. They have an enormous multi-level store is in Akihabara but their location in Nakano, established in 1980, is nothing to scoff at. The one on the second-floor functions as a secondhand bookshop where people can come in, and trade used manga or books they've already read for other second hands books. It's a great way to encourage reading by lowering the price point but also promotes recycling and reduces waste. Manga (Japanese comics) are usually very quick to read but not always super cheap, so this is a great option for avid readers with a small budget. Located inside the yellow lined shops are Mandarake's used, vintage toy stores. These were my favourite to visit as they had all the best Sailor Moon collectables. Growing up, Sailor Moon was one of my favourite shows. Although Sailor Moon was being aired on TV, it was a still pretty niche in Canada and none of the big kids toy stores sold any merchandise relating to the show. Little did I know that here in Japan, there were stores overflowing with wands, dolls, playing cards and even costumes! Seeing all these toys, some of which I never even knew existed made the little girl inside me come alive and if you're a fan, I'm sure you'll find it as hard as I did not to want to buy up the entire store. Thank goodness for luggage weight limits. On the 4th floor, you'll find another Mandarake store. This one sells used toys of the highest calibre. You enter the store through a series of torii gates, adding to the gravitas of the experience. Vintage tin toys that might be the last of their kind sit behind glass and stare blank out at the customers. Many stores on the 4th floor might look closed, but that is because they are just extra storage space with Mandarake uses. If you're looking for Disney goods, you have to check out ROBOT ROBOT2 on the 3rd floor. They sell all sorts of different Disney Resort merchandise from pins, stuffed animals and clothes. This place is also known for their collectable car models and original "cels". The GODZILLAYA, or Godzilla store, features vintage merchandise specialising in the Japan's own, Godzilla monster. You can find plastic figurines, movie posters and more in this tiny, little shop. 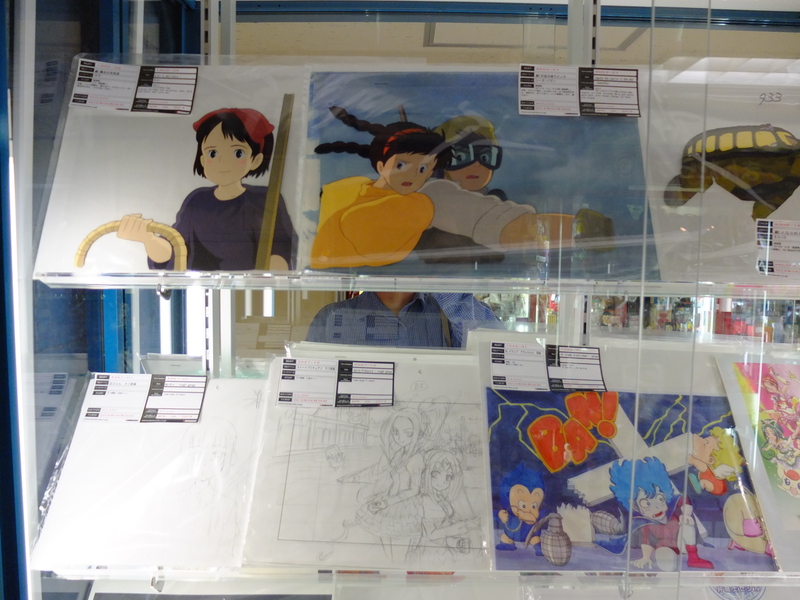 There are more items from Japan's golden age of cinema here too with characters like Astro Boy, Gigantor and Ultraman. Walking through this store is more like a museum so even if you don't plan on buying anything, be sure to check this place out to see a piece of Japan's history. Commit sell countless pieces of Japanese animation. Before it was all digital, animators would have the painstakingly drawing out each frame of the movie on sheets of celluloid to create "cels". These drawings are more of a work of art, and therefore, the prices reflect that aesthetic. Also on the 4th floor is one of the most exciting game centres the building has to offer. 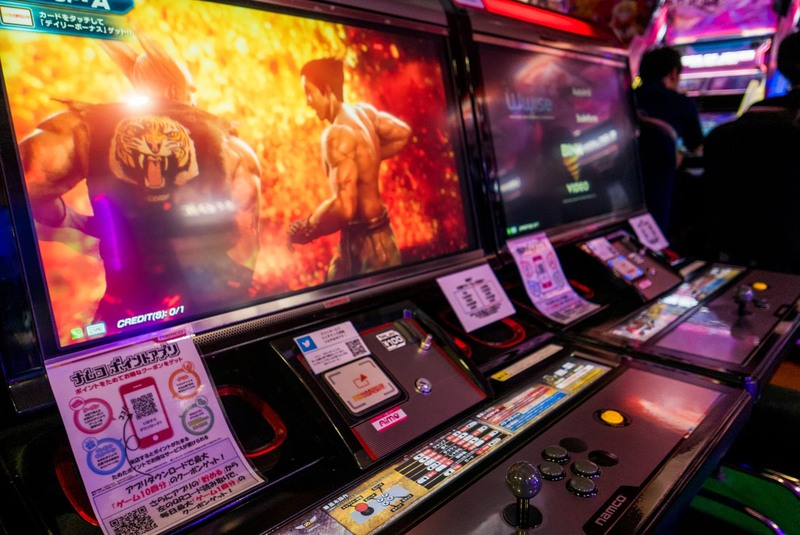 Inside you'll find the traditional UFO catchers and pachinko machines, but there are also some of the best 2D fighting games around. Passionate gamers crowd this rooms from sun up to sunset and even watching some of these matches is as much fun as playing yourself. Although Nakano is most known for their toys and comics, several stores throughout feature vintage and handmade clothing. You can find the most ostentatious designs and some diamonds in the rough. Spank! is one of those stores that you absolutely can't miss. The designer who runs and owns this shop was the first person to coin the term "fairey-kei", a style of dressing characterized by pastel colours, toy motifs and elements and accessories from Western toy lines of the 1980s and early 1990s, such as Polly Pocket, My Little Pony, Strawberry Shortcake and Rainbow Brite. 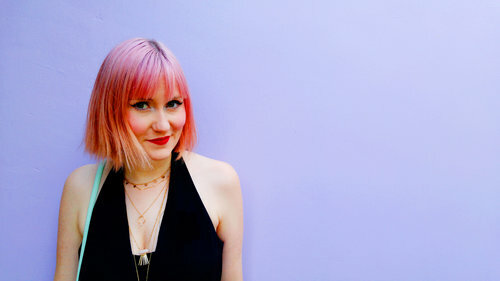 Her beautifully made, handcrafted clothing and accessories are some of the best in Japanese alternative fashion outside of Harajuku. Wonder is located on the 4th floor of Nakano Broadway and has the most amazing collection of vintage, Japanese movie posters and other movie collectables. Movie posters are so beautifully designed in Japan and feature those incredible Kanji characters. You can find almost anything here and it makes for an incredible souvenir for a movie buff. If you're looking for a relaxing walk away from the busy city, head over to this park and temple complex. If you're lucky enough to visit during cherry blossom season this is one of the best places to come to experience Japan's springtime explosion of colour. The temples here were first built in 1586 and were a place of prayer for anyone who wanted to heal eye related ailments. The tea made from the cherry blossom trees around the temple was said to cure various eye related problems and is even sold in the gift shop for those wanting to bring some home with them. Kotobuki-yu are a natural hot spring where you can soak your aching body after no doubt your thousands of steps walked on your travels through Japan. To take in one of their “medicated” baths with rotating herbs it's only 460 yen for adults (less than $5 USD). These are traditional Japanese baths so they are separated into male and female rooms and you need to undress completely. Although this might sound intimidating, it's something which is very common in Japan and a really great way to relax and experience a traditional Japanese hot spring without all the touristy tack. While you're exploring Nakano Broadway there are two place inside you absolutely need to check out to grab something to eat or drink. One of these is located in the basement. Daily Chiko doles out soft serve ice cream in a rainbow of colours and their most popular order is the eight-story stacked cone which gives you a taste of all their different flavours. It might look like a lot but trust me, one person can easily polish it all off, it's just that good! Bar Zingaro, which is more of a cafe than bar, is located on the second floor of Nakano Broadway. The coffee shop was designed by international pop artist Mr. Takashi Murakami and the entire place is covered in his flower-themed works of art. While they do sell alcohol, their coffee menu is what I come here for. If you've never tried tsukemen noodles before this is the place to give it a go. Tsukemen noodles are dipping noodles made with a super thick seafood infused broth. Unlike other ramen which has thin noodles inside the broth, these are are extra thick ones are served in a separate bowl and then dipped into the broth. This preserves the flavour of the noodles and the broth, allowing you to decide how flavoured you'd like every bite to be. Be sure to put your bib on this meal! Right outside of Nakano station, you'll find a small shop selling imagawayaki. You'll know the shop almost immediately as it's usually surrounded by a long line of people waiting to get their hands on these warm treats. Imagawayaki us a round, cake-like snack with a filling of your choice. During the springtime my favourite flavour is always the sakura (cherry blossom). They also have milk tea, Ghana chocolate, custard, red bean and sweet matcha. Dai Kaiju is a cafe which perfectly sums up the otaku culture obsession in Nakano. This cafe is covered in the owners personal collection of toy monsters, plush animals, action figures and 80s dolls. Try ordering the omurice, it's an omelette served around a bed of rice. The omelette is them topped with a fun retro inspired image drawn in ketchup! 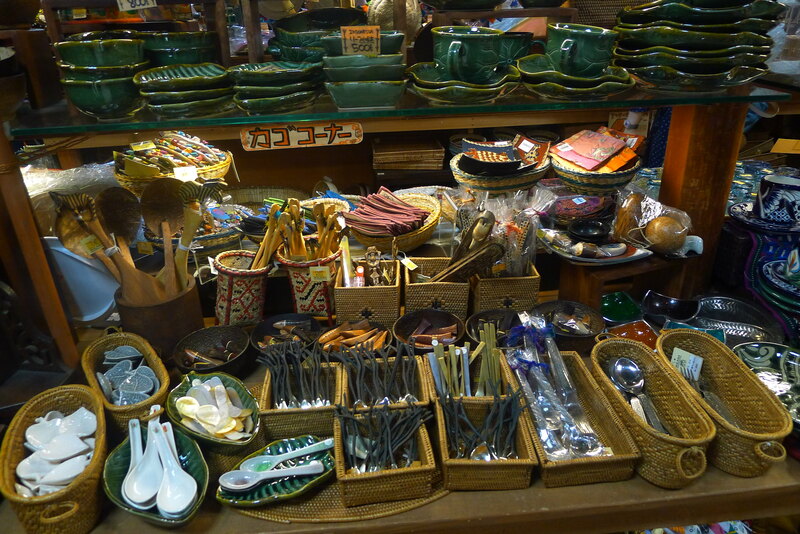 It's fun, it's quirky, it's Nakano! For dinner try out Okajoki. This place is a tradition seafood bar which has been serving up fish right from the market for over 50 years. In the center of the room is a large heart which they use to grill up the skewered fish so the entire two storey is filled with the sweet smell of grilled seafood. If you're looking to grab a drink in Nakano, head over to Juke 80s. This 80s themed restaurant serves up cheap drinks and a playlist of all the best hits from the 80s. Great hits for a great night of fun! Karaoke is one of the best things to do at night in Japan! It's immensely fun whether you're travelling with a large group or just as a couple. Moco Moco Karaoke's quirky Hawaiian decor makes it stand out against the rest of the standard karaoke places. They have all the drinks you want and also a soft-serve ice cream bar for those of you with a sweet tooth! The BEST way to really experience and explore Nakano is with a local guide! Nakano has a lot to offer in addition to anime and manga culture: local shopping streets with locals living there, old buildings with lots of unique second-hand shops, Nakano Broadway's maze of incredible hidden gems, and food alleys.